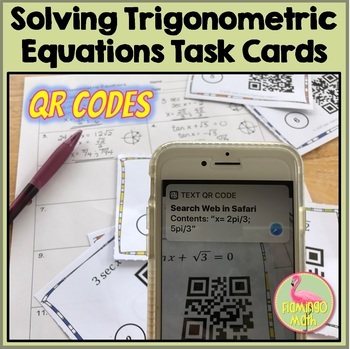 Here's a fun way to use smartphone apps and keep your Pre-Calculus or Trigonometry students engaged in solving trig equations. There are 12 task cards of varying difficulty, including factoring and double angle equations. The activity comes with a student recording sheet if you want to grade their individual work. 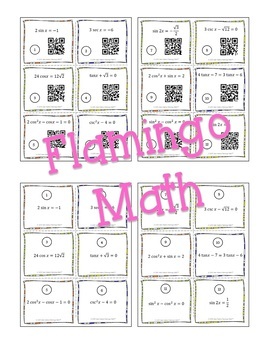 Answers for each equation are provided as a QR Code at the bottom of each task card. An extra set of cards without the QR Codes is also included.